Today is the first official day of Autumn, and for me, I welcome the cooler days and nights with changes of color to arrive hopefully soon. Here in the Lone Star state it starts gradual, but very welcome when we get a break from the high temps we experienced this wonderful summer. I love fall and I like to view this time of year as mother nature's way of blessing us with a restful time when her glorious Godly creations can rest for awhile till we welcome back beautiful blooms in the spring. Thank you Sherry, I am so honored you passed this award on to me. I love to visit Sherry's blog. Each of her posts is a reflection of a kind and wonderful friend. She so deserves this award and Sherry I congratulate you. Now I have to pass this on to 7 more blog friends. But before I get to that list, I want to also tell you that Sherry is having her 100th post GIVEAWAY to be drawn on Monday the 29th. Hurry over to read her post and leave a comment to enter. Her unique giveaway is just GRAND! Sherry, Blessings and Best Wishes for many more wonderful posts. Click on the link above to visit! Now to pass on the Award. In the Dining room I like to add to my tea display by adding fall candle rings around the cups using the saucer as the base. I fill the cup with a battery tea lite. These work great in places you do not want heat and will be unattended. I have also used these in my Irish candle holders to keep them clean. Have you tried these? They are gorgeous at night and the batteries can be replaced when needed. Before I say so long for now, I just wanted to share with you Miss Beazy Lee and her sweet Lizard friend as they visit at the window. This lizard arrives each day to the studio window to visit with Beaz, and as you can see, Beazy is just fasinated! Sweet Lizard is smart though, knowing the window is between them. Until next visit, Blessings and Blue Skies. Thanks so much for the award Aunt Celeste! I will have to post it on my blog. I love the pics of Miss Beazy and the little lizard- so cute. My dog sitter told me that he has ducklings and Ries will be there this weekend- anxious to see how she deals with that! Gorgeous. I love all your vignettes. Thank you for sharing them. I love fall and fall decorations! Celeste, I love your fall decor. The battery tealights look so sweet. Enjoyed reading your blog and as always viewing your lovely creations. Have a great day! Thanks so much for the award and also for your kind comments as always on my blog. You have inspired me to do more decorating. I get caught up in my crafting and just don't feel as motivated to decorate now that my boys are older. I love, LOVE your decorations. I just found those little lights at Michael's the other day. Now you have shown me a neat way to use them! Miss. Beazy is so so cute...great pics! I have to say, Miss Beazy Lee is a sweet heart, I always enjoy it when you show pictures of her. I remember you telling me that you created miniatures for years. That is a big challenge and I'm sure a lot of work to do only minis for so long. I hope some day you will show some of those designs on your blog, I would love to see them. I'm not sure I really love painting that small, LOL. When I have an order for some, that is when I paint them, they are really small and I find it a real challenge. I do enjoy egg art a lot , they are small but not that small so to me, a lot more managable. Thanks for sharing your lovely fall home decor. Celestina, thank you so much for this award! As you know, I visit your blog almost every day. In addition to loving all your handmade artwork, I am now enjoying your autumn decor. And I love how you featured your tea set for the season! Thanks again for selecting The Tea Room and me for this award. I am truly honored, especially since it comes from you. I've seen the little tea lights, but never used them. I'll give those battery ones a try. Love your fall decorations! Celeste, your home looks so warm and inviting. But that's not surprising, because you are. Your Miss Beazy is adorable! I love fall too. It's a good time of year to be creative, to feather the nest for winter and to settle down and reflect and be grateful, isn't it. I think the Pilgrims got it right! Hi Dear Friend! Oh thank you so much for this honorable award Celeste! It means everything to me. Especially right now! You deserve it more than anyone could!! I am anxious to visit the blogs you presented it to as well as I never have. I am sure they are all wonderful! Your home is so stunning Celeste! I adore your fall decor. It is so warm and comforting as is your description of beautiful Fall! Miss Beazy is so adorable with her lizard friend!!!! I could just squeeze her :) I love all these pictures!!! I saw a lizard here in Michigan last month and could not believe it! I tried to get it but it was too fast, lol! A chegada do Outono decerto que lhe trouxe muita inspiração. As cores dos temas das fotos estão em grande harmonia, fantásticas! Your centerpieces are all gorgeous. You gave me some great ideas for the tea lights. I do have several, but believe it or not I don't have any of them out right now. I love them in your tea cups. I have a couple more posts to do with Fall. I've been spreading them out. I thought for 3 months it's worth the decorating. I just got back from Pigeon Forge, TN so I will post some of that trip first. I appreciate your visits and your're very encouraging to me. Have a great week! Congratulations on your award! Thanks for stopping by to see my new shop at Very Vintage. Sounds like you've been there, done that. If you have any words of wisdom, I would truly like to hear them! Thanks for your encouragement! Happy Autumn to you, too! You touches of fall around your house are all so lovely, of course! What else would I expect from such a talented decorator like you. That lizard that visits your dog makes for such a cute story! Congrats on your award and thanks for the nice comment on my blog today! Hello Celeste, Happy Fall to you:) Hope this will bring some cooler weather to Texas... I am ready! Your home is lovely with all your fall decorations. Love the tea lights. As for Miss Beazy,what a sweet heart. Wonder what they talk about? Miss Beazey looks like she likes ANY season!! Cute. Your home looks good enough to eat with all your decorations around, sweet chickee!! Lovely as usual. Love your pretty dishes Celeste. Mmmm your home looks so warm and restful with all your Fall decorations! I have never tried the battery tea lights. I thought they would look too fake. Yours certainly look pretty though! Great idea to put them in china cups. Love your doggie! I remember those cute little lizards from Texas. Ha! I wasn't especially fond of them myself. :> I felt one crawling down my arm once from inside my jacket. That jacket came off reeeeal fast- let me tell you!!!! Have a creative and amusing day! My husband has been ill but is reovering nicely after rushing him to the emergency. Talk about busy ...your decorations are wonderful and I congratulate you on the award. 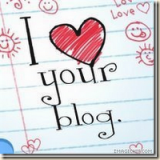 I do love your sweet blog. It is truly a refleciton of your kindness and your amazing talent. Your fall decor is wonderful....so warm and cozy looking. Hi Celeste, thank you so much for stopping by and leaving such a sweet comment! Your fall vignettes are beauitful! I love the tea lights and Miss Beazy is so cute with the lizard. I love fall too and can't wait for the leaves to change. I stared decorating the porch but have not done much inside yet. We are doing some remodeling so I will have to decorate around that mess. Congrats on the award, you certainly deserve it. Hey Sweet Celeste...Oh Miss Beazy is just a doll! Love your Autumn decor! I haven't pulled any of mine out yet. Hey, I could really use your decorating expertise..if you have the time. I posted pix of my Mst BR in PRH and I'm trying to freshen it up a bit..staying with my blues/mauve/pink palet...I'd love any help you might be able to give! I just need fresh eyes and life is so "Up in the Air" right now that this needs to be a calming place for both of us. Miss chatting with ya...hope you are doing well! PS..I discovered those light too...when I got back from Seattle DH had bought some at our local Dollar store! Luscious autumn colors - warm and welcoming - like you! Sorry it took me so long to make it over but my internet was acting up for the past few days. I got a new wireless router and am back in action. Thanks so much for the award that is so sweet of you and I love the photos of Miss Beazey watching the lizard, she such a cutie. Miss Beazey not the lizard. LOL Hope you are doing well and enjoying the begining of Fall. I love decorating for this time of year too. Ohhh Celeste....All of your fall decorations look so gorgeous & comfy!!! Just lovely!!!! I love reading your blog ....so beautufuil & calm & makes me smile:) Your such a talented lady...& I love your pretties on e-bay sweetie! Have a great fall season!!! Hi Celeste! What pretty fall decor! I always enjoy visiting your sweet, serene home! Miss Beazy looks so adorable ~ yes, I can see she is just fascinated with Mr. Lizard!! 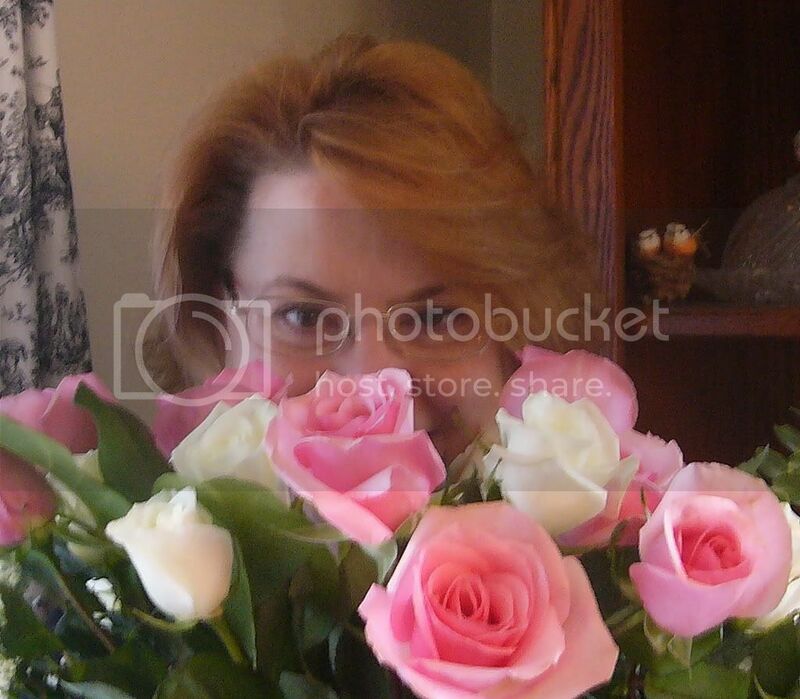 Thank you again Celeste,I will add you to mine also.Hugs Marie A.
Hi Celeste! What a beautiful celebration of fall decor. I love it! The colors are so warm and inviting! I, too love the coolness of the evenings, and have sat on our patio in our adirondack chairs with a log lit firepit, and cup of coffee in hand. There is something about sitting out there in nature like our ancestors did, staying warm by the fire. I hope you have a blessed day and thanks for sharing!!! Just Beautiful! And sweet photos of your pup and her green friend! I just love all your autumn decor. It looks wonderful! Hope you're having a good weekend. Congrats on the award, love your Autumn decorating and Miss Beazy Lee and the Lizard are so cute. Your Autumn decor is gorgeous! It all looks very welcoming and gracious! Saindo um pouco do crochet, estou passando para lhe dizer que tenho no meu blog os vídeos do concerto de Stravinsky que o meu filho Rodolfo realizou este verão na Meadowmount School of Music. Ficaria muito feliz se pudesse passar lá. Congratulations on the award. It's well deserved! Oh Celeste, I love the pics of Miss Beazy and the lizard! Your fall decor is fabulous as always! Hi! Nice to meet you! wow! just beautiful deco! congrats! I am Interior designer too! I from Argentina. I hope you in my giveaway!